In 1910 Mark Twain died. He had left so many of his personal writings, letters etc. with instructions they were not to be opened, read until he had been dead one hundred years. Those years have now passed and I have been trying to make my way through some of his writings. Why I am not sure. The man had a way with words. Two quotes I particularly …well they make me smile. Oh…..yes….I like that last one…. Not long after I retired from my twenty-four years on staff with the United States Golf Association (changed directions–one never retires) our son, Jay and I took the trip of a lifetime. We left our homes in middle Tennessee flew from Atlanta, Georgia to Paris, France. There we met up with a group of twenty or so and along with them, a tour guide and a retired Colonel we spent the next twelve days re-creating the route of the American soldier that would have landed on the beaches of Normandy. The second day of the trip found us in Mere Eglise, France. Which is just a few miles inland from the Normandy beaches. Early that morning found me up trying to find a cup of coffee prior to our group meeting for breakfast. It was early and the streets of this small French village were deserted. There one does not find a Waffle House, Cracker Barrel, or A Denny’s etc. Also, no Brugger’s. I took my billfold from my pocket and as I started pay she said something to me that I was unsure of. I thought she said two words. Surely I misunderstood her. I smiled and said “excuse me.” She repeated her words. “No charge.” “Excuse me, I don’t understand, no charge,” I replied. Hanging on the walk here in my home office is a picture of the American Military Cemetery, in Luxembourg. There are thirteen American military cemeteries in Europe, I have visited eight of those thirteen. So said the young French girl….and this week or today I wonder how many folks here in our country, one—- even know what once happened and two, remember. While on that day my coffee may have been free…..but what was done on that day, June 6th, 1944….. was not. Oh my…it was not……..
We are as a country within a few days of what I feel are two very important dates that should be remembered and acknowledged in our country. One is what we call Memorial Day, May 29th. The other date I feel of great historical importance is June 6th–“D” Day. I hope the article below rings loud and clear with all…. “Before my son became a Marine, I never thought much about who was defending me. Now when I read of the war on terrorism or the coming conflict in Iraq, it cuts to my heart. When I see a picture of a member of our military who has been killed, I read his or her name very carefully Sometimes I cry. flawless uniforms I did not. I live in the Volvo-driving, higher education-worshiping North Shore of Boston. I write novels for a living. I have never served in the military.It had been hard enough sending my two older children off to Georgetown and New York University. John’s enlisting was unexpected, so deeply unsettling. I did not relish the prospect of answering the question, “So where is John going to college?” from the parents who were itching to tell me all about how their son or daughter was going to Harvard. We in the audience were white and Native American. We were Hispanic, Arab, and African American, and Asian. We were former Marines wearing the scars of battle, or at least baseball caps emblazoned with battles’ names. We were Southern whites from Nashville and skinheads from New Jersey, black kids from Cleveland wearing ghetto rags and white ex-cons with ham-hock forearms defaced by jailhouse tattoos. We would not have been mistaken for the educated and well-heeled parents gathered on the lawns of John’s private school a half-year before. I have walked the beaches at Normandy—I have stood and looked up at the cliffs the Rangers scaled..and walked the graves high above the beaches and heard the taps played at 5 PM…what a price was paid for our freedoms….if it not acknowledged…if it is not celebrated…it will be forgotten…when one or a country fails to knows its history and acknowledges it……sad times can be ahead….. If all goes as planned my wife and I will be in the west this coming June. We are leaving June 1st, taking a three week extended car trip to a number of places and states out west and south. Hopefully say around, Cheyenne, Sheridan, Jackson Hole or Cody, Wyoming we will see a rodeo. A real rodeo with real cowboys. I have always been fascinated with folks who have given so much of themselves to a sport they love. Such as race drivers, professional golfers, rodeo cowboys would be three good examples. “A rodeo bum. There’s no precise definition for it. It can be a good-natured term for anyone associated with rodeo. But it can describe a character whose soul is infected by rodeo addiction. He can’t make any kind of living from it, yet he can’t turn loose from it, either.” –to quote Stratton. I must say that aptly described a few folks over the years I have known yet there is something inside of me that also respects. Have you ever wished you could have lived in another era? While I don’t wish to have lived during another time, there are happenings I wish I could have experienced from the past. A few years back my wife and I and another couple were spending some time in the hill country of west Texas; a very pretty area. One day found us in Gruene, Texas. The oldest continuous dance hall is in Gruene, and we got to experience a bit of that history. It is said that dances began at this hall dating back to the 1890s’ and are still going on today. I wish just once I could have been at that hall on some Saturday night in say the 1940s’when the great popularity of the King of Western Swing, Bob Wills, and his band would have been playing. 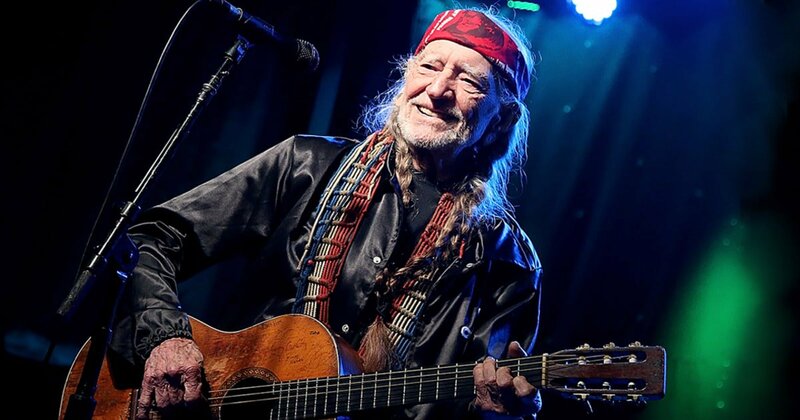 It would have been special to hear his music and see those real cowboys dance their girls around the floor. I have tried to acquaint our six grand kids to a lot of different types of music. This past week our sixteen year granddaughter (now eighteen) (Sloan) made my day when I was driving her to music camp here in Nashville. She said, “Pop Pop play some music by that guy from Texas, the guy that talks while his band is playing and often you hear him go “Ah Ha.” Immediately I knew who she meant, Bob Wills. I once knocked on Waylon Jenning’s tour bus’s door, he answered and invited me in. We talked of Buddy Holly and he also referenced Bob Wills. This was recently said by a good friend as he spoke to me and a group of others one morning. He further explained by saying that a number of good things had taken place for him that past week and his work. He followed those two statements by also saying, “And in some ways it has been a difficult week. Twenty years ago today my father was killed in car accident.” His father, a man he thought so much of, was killed returning from a week-end fishing trip. His father had been a passenger in a car riding with a good friend when it went off the road, hitting a tree and his father was killed instantly. No, not a good week. Our friend flew from his home to where his parents lived in west Texas to be with his family and prepare for his dad’s funeral. Unfortunately there was no next week for my friend’s father. Our friend’s story makes us realize…. Time…tomorrow is guaranteed to no one. Remember when that word struck fear in the hearts of people? If you were a kid, a child growing up in the 1950s’ chances are you were acquainted with that word, polio. 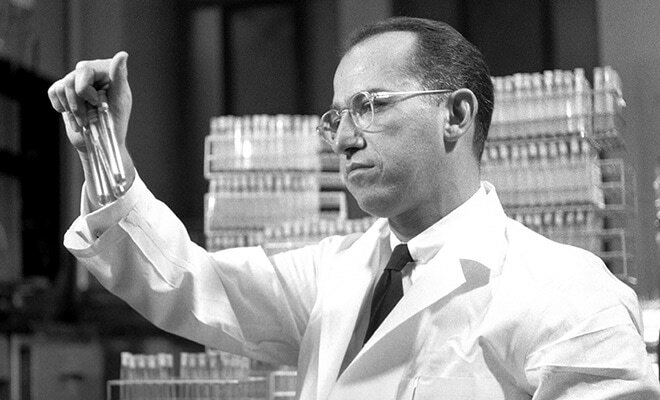 Much of that changed in the early to mid 1950s’ when Dr. Jonas Salk developed a vaccine to combat that dreaded disease. Today while I was doing my exercise (I try daily to do the treadmill in the wintertime other times walk a 4-5 neighborhood path) for some reason that word came to me. Polio. So often when I exercise I am made to think how fortunate, blessed one is if they have their health. Thinking of the disease of polio most of us who were children in the 1950s’ also remember what had to be done to be protected from this disease. Shots. Now that’s a word that most of us from that time can remember and not with a happy memory. Isn’t if funny what children remember….I still remember his name, yes his office and the day I got my polio shot…………….. but most of all I remember his kindness. You know acts of kindness can have long memories…….. I love meat loaf. Meat loaf freshly served or a cold meat loaf sandwich served with a topping of ketchup. Makes no difference. Either way is just fine. I never have meat loaf that I don’t think of my good friend, Mike. The two of us probably ate more meat loaf than any two young guys ever. Today my wife and I were out and about running some errands. About noon we both said that we were a bit hungry and so we stopped to get a bite to eat. We stopped at this restaurant, a national chain, you would recognize the name. When the young waiter came to take our order I sensed a bit of what I would call hesitation on his part. He seemed a bit unsure of himself. When asked about something on the menu he did not know. (He did check and came back with an answer) When he brought the drink order he forgot the water my wife had ask for. When our order came, he apologized to me saying, “I know you ordered a grilled meat loaf sandwich but this is the meal order of meat loaf. I did give you an extra side order.” He looked at me waiting for my reaction. I told him that the meal would be fine. Cut the young man some slack. One, these days I respect any young person, kid who is working. Period. It speaks volumes to me. Kid not asking for a handout. Also, our eighteen year old granddaughter, who will be a college sophomore, is working as a waitress to help support her college efforts. So yes thinking of her taking orders, serving probably that did figure in to my thinking. This past November my wife and I were on a Viking River cruise traveling in Germany. She and I have had the good fortune to travel in Europe on other occasions. One of the things I like to do when traveling anywhere is talk with the natives. You know sometimes getting something not quite as one requested really is not that big a deal. Some would say “well you ordered a sandwich and that was not what you got.” True. “They should make it right, and the meal would cost you a bit more than a sandwich.” That also is true. But I thought about the young ladies words…”But I do notice on occasion that Americans seem to complain about matters that we would not think that important.” You know I had ordered meat loaf, I got meat loaf. True it did not come to me in the “form” in which I had ordered….but was it really that big a deal? Remembering the young ladies words….the meal was fine…. and maybe it would be good for us to remember….that sometimes we don’t have to have “everything just like we ordered it.” You know after all…………. meat loaf is meat loaf. I have been doing some reading regarding the old west, cowboys, rodeos, etc. in preparation for our upcoming extended (3 weeks–at least) out west trip. Beginning with South Dakota, across Wyoming, Utah and looping back through Arizona, New Mexico, Texas car trip my wife and I will be taking this June. In Dirk Johnson’s book Biting the Dust he makes a description of what he feels describes various places in the west or what he calls the Great Plains. I would agree with his statement but I feel it could also fitly apply to areas I have known traveling back in my home state of Indiana. On one of my last trip’s back home I decided I would drive somewhat out of my way, drive something other than the usual highways I take when driving back home. I guess to quote a line from an old SStatlerBrother’s song maybe it was cause “I had time on my hands and memories on my mind” that I did such. Where I normally would have headed north when coming into Indiana I decided to turn and head a bit east crossing the Ohio River at a place called Rockport. From there I drove west on highway 66 driving to Tell City on to Cannelton. There I stopped a bit and drove where literally one can park their car within a few feet of the Ohio River. Leaving Cannelton I drove to or through the very small hamlet of Rome. I smiled when doing such. I had been there once before. Don’t think much had changed. From there on to Derby. From Derby I continued to travel back roads stopping at a convenience store (one of them places where they sell velvet Elvis”s) and got me a diet Dr.Pepper. Sitting on a bench outside was a teenage couple who had no clue there was another person anywhere in the world. Uh….they were rather taken/ smitten with one another. On to Jasper, then up the road to Ireland. The Ireland Spuds. Made quite a splash in 1963 with their high school basketball team. They had one of the craziest coaches ever, Pete Gill. He once told the student body at a pep session that if they won the sectionals he would take his pants off at the pep rally. They did and he did. Someway or another I made my way a bit west and went through Petersburg. Just outside of Petersburg I saw a church which had a sign, “Revival–every night—Come and hear the Gospel.” I smiled and thought “I’d like to show up there one of the revival nights and just see what does happen.” From there on to Monroe City then up to Bruceville. Shortly after Bruceville I hit highway 41 and was somewhat back in known country. My point is in all due respect to Mr.Johnson there are a lot of places in this U.S. where folks are sittin’ on their porches and gazing into the twilight and keeping watch as many things they once knew…..have and are vanishing and they are not all out west.